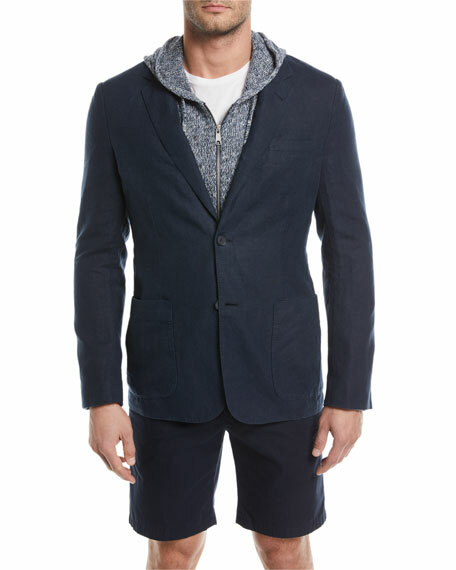 Vince blazer in woven hemp. For in-store inquiries, use sku #2475672. 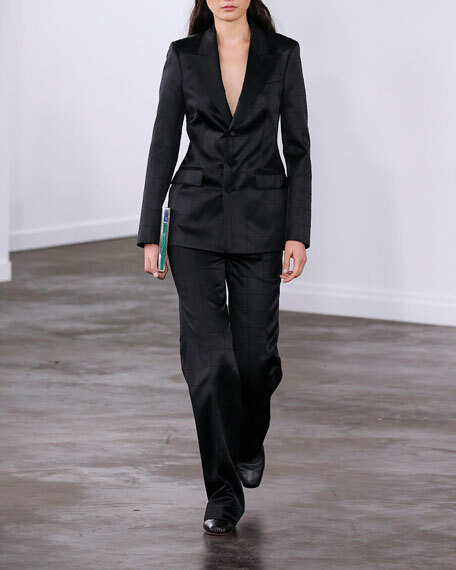 Gabriela Hearst "Olga" satin blazer with a windowpane pattern. 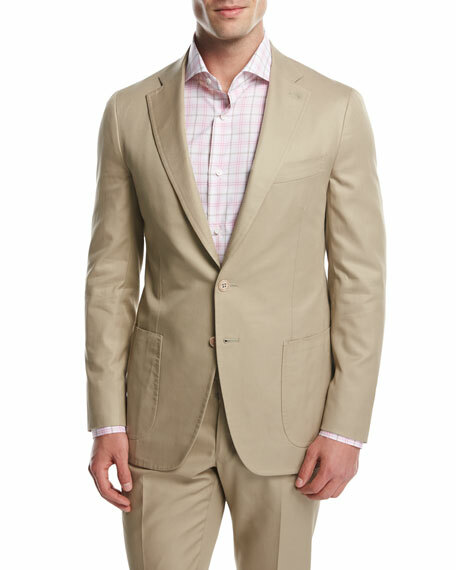 Peaked lapels; covered three-button front. Long sleeves. Hip flap pockets. Classic fit. Straight hem. Cotton/silk. Dry clean. Made in Italy. 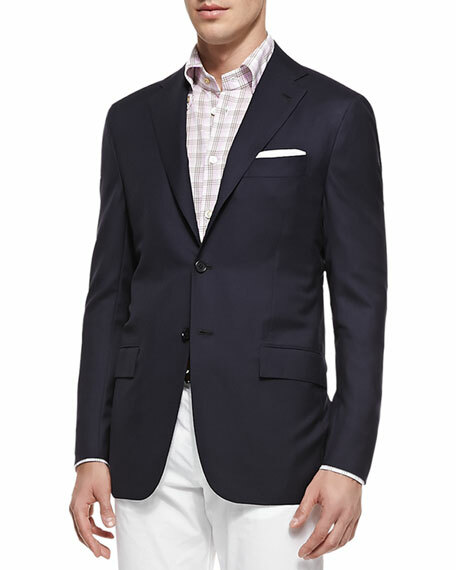 Kiton navy blazer in 14 micron wool. Approx. measurements (size 39/40R): 30"L from shoulder, 25"L sleeves (unfinished). 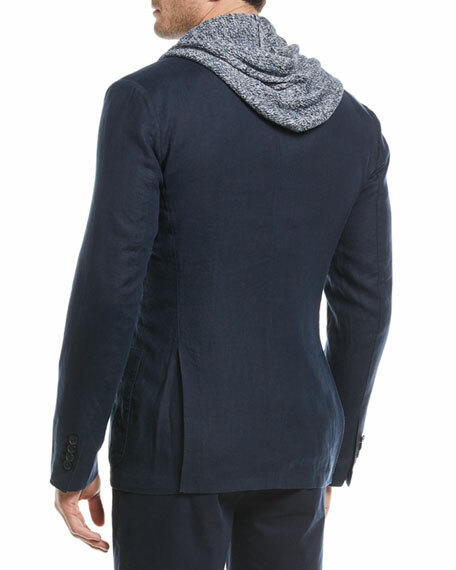 Three-button jacket with flap pockets. Lightly padded natural shoulder. Notch lapel. Bested sleeves. Double vent. Handmade in Italy. 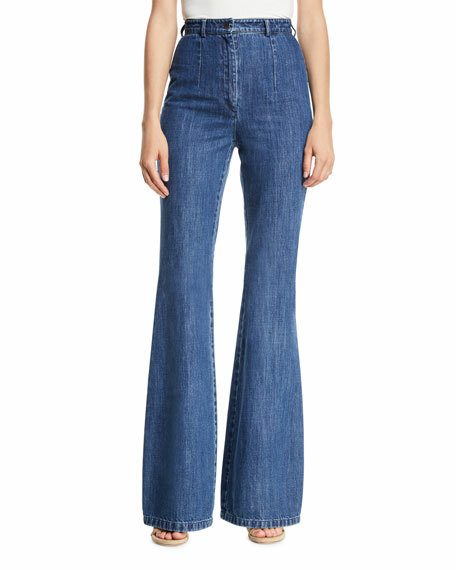 Michael Kors trouser-style jeans in medium-wash denim. High-waist; button-zip fly. Side slip pockets. Fitted through thighs. Flared legs. Full-length. Cotton. Made in Italy. Model's measurements: Height 5'11"/180cm, bust 32"/81cm, waist 24"/61cm, hips 35"/89cm, dress size US 2.